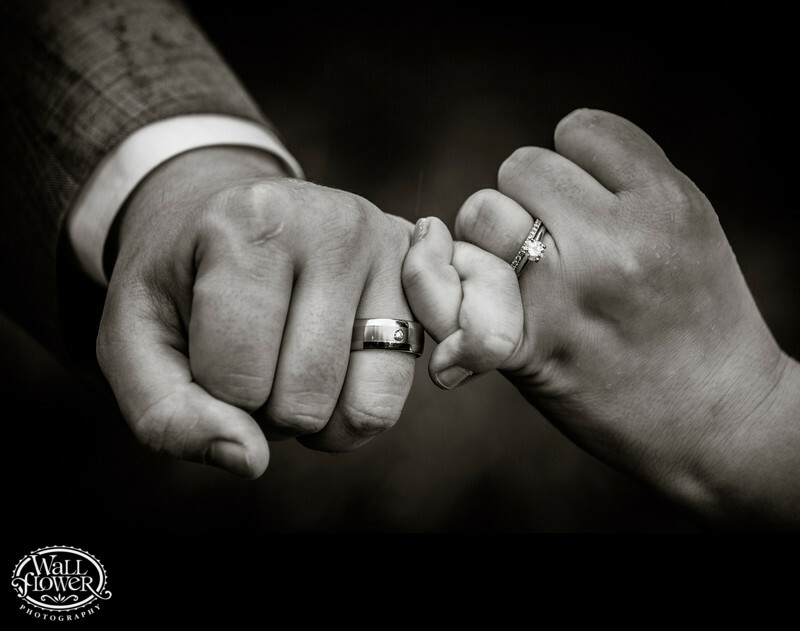 For this detail photo of their wedding rings, the bride and groom wrapped their pinkie fingers together in a "pinkie promise" to show off their rings in a unique way. The black and white effect draws attention to the sharp details in the image without the distraction of color. This photo won an award in a competition held by the Artistic Guild of the Wedding Photojournalist Association (AG|WPJA). The wedding took place at Rock Creek Gardens (RCG) in Puyallup, Washington.